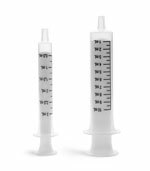 The 24 mm SealSafe self-healing orifice reducers fit securely on most bottles with a 24 mm neck finish and are designed to aid in the dispensing of liquid medications when used with oral syringes. The patented self-sealing design prevents spills and provides an additional layer of child safety for use with child-resistant caps. 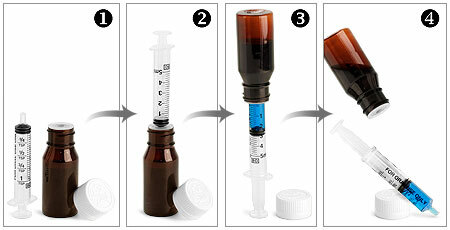 The flexible seal allows the oral syringe to get the last drop of medication while the syringe is outside of the bottle for a clear view of dosage markings. Extra protection from evaporation and contamination are also provided. 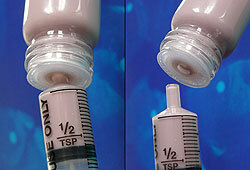 The self-sealing septum allows access to the container's contents using nearly any brand oral syringe. 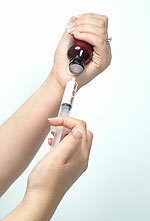 To use, insert tip of oral syringe into the closure's seal, turn the bottle upside down, aspirate a measured volume, turn the bottle right-side-up and remove the syringe. 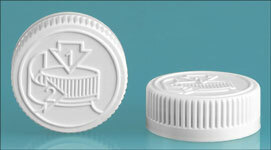 The closure will instantly reclose, providing a safe, clean seal. *Starter Kit 7600-01B includes 20 each of the following: SealSafe orifice reducers, 60 cc amber PET bottles and white child-resistant caps. 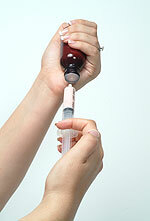 To use, insert tip of oral syringe into the closure's seal, turn the bottle upside down, aspirate a measured volume, turn the bottle right-side-up and remove the syringe. 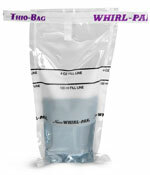 The closure will instantly reclose, providing a safe, clean seal. 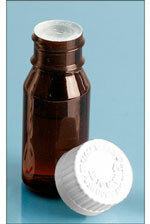 Available in cases of 100 (bottles and caps not included), or sold as a kit with 20 each of: SealSafe orifice reducers, 60 cc amber PET bottles and white child resistant caps. Printed with text: "Oral Use Only"
The SealSafe self-healing orifice reducers are available in cases of 100 (bottles and caps not included), or sold as a kit with 60 cc amber PET bottles and white child resistant caps. 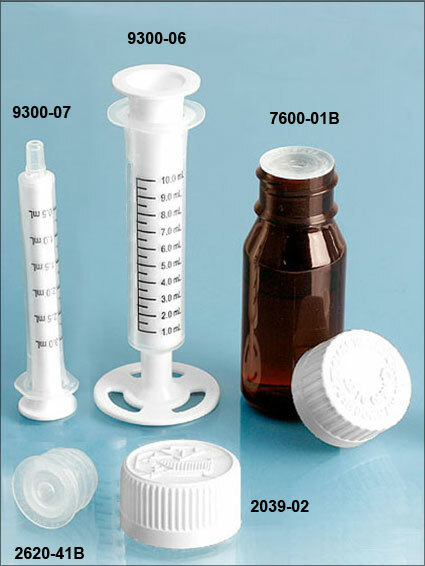 Extra white child-resistant caps are also sold separately, as well as four sizes of oral Syringes which work with these bottles and orifice reducers.